I wonder if keeping the wooden spoon in the pot the entire time adds flavor to the soup you're making? Who wouldn't want a nice woody (and bits of it) taste in their soup? It's earthy. It's nice. A week ago or so ago, with a high of in-the-teens, Julian and I walked 1.2 miles to a doughnut shop. If anything will get me out in frigid temps, it's doughnuts. This place, called Dough, is a bit famous apparently, and was recommended to me by a friend. Naturally on the first visit to a donut shop, you need to have a sampling so we got a plain glazed, nutella-filled, lemon poppyseed, blood orange, and dulce de leche. Normally my favorite doughnut in all the world is a plain glazed from Lehi Bakery. This is still true. But since i can't get at that as often as i would want, i settle for Doughnut Plant, which is pretty awesome, though kind of sweet for me. They're fancy though. High quality. Just sweet. This place isn't as sweet, which i appreciate, and they're closer to me still. Using a standard doughnut, the different flavors come in the form of various toppings and glazes. Not many filled doughnuts, which i also like. So that is kind of a negative, but not really. These doughnuts were fun and delish, and i especially enjoyed the blood orange, and it currently ranks 3rd on my short list of doughnut stops. It was so cold. I wore my sweater boots with socks so thick and tall, i have to wear them over my jeans, my doughnut scarf (appropriate), a beanie hat, and my super chunky thick glittens that i later spilled hot cider on after i scalded myself. Julian got to ride in his stroller blanket which i love, and am jealous of. When we got home we both had frozen fingers and frozen snot faces. On the walk there, a man stepping out of his brownstone said to me, "Happy New Year! And Human Rights Day! And Valentine's Day!" I laughed and said, "what, it ends there??" We also saw several tractors and diggers, which we paused to take in and enjoy. Fun fact about )en: Sometimes i retrieve a hot bowl from the microwave using my fingernails. As i do not have the least bit long nails, i have to bend my fingers so as to use the flat surface. Since they are dead tissue, to my understanding, and not as sensitive to heat and pain as my fingertips, you could say i use them as tiny individual hot pads. You could say, the lazy man's hot pads. The lazy stupid man. Is it effective? Kind of, not really. Hot ceramic bowls are really slippery and I don't know about you but i'm not very dextrous holding things with the broad sides of my nails. But I do it, and it's weird. I also watched Midnight in Paris which was an utter delight. I felt like I was watching my dreams. As if i didn't already want to move to Paris and be a writer. But it's just a treat, and resurrected up some life in me that had been sucked out of me viciously by a particular Dementor named January. I also read The Glass Castle which I loved. A true story, a woman tells of her upbringing by crazy parents who can't ever see beyond an impoverished life, and allow it for their children either because they're kooks or drunk or who knows what. But they love her. And they end up homeless in NYC while their successful daughter works off her arse and lives on Park Ave. The story was told so amazingly yet simply and so interestingly. I have so many thoughts about it that it actually makes me want to form a book club to talk about it. I know, i know. And then, on the coldest day yet, we visited a playground completely abandoned because everyone else is sane. But we all loved it, and i know that we 3 would take a deserted frigid playground over a mild crowded one any day. With the cityscape in the background. Happy January!... happy that it's almost over, that is. I hate January. And this one has mostly been pretty mild (especially this week), but I still pretty much hate it. I LOVED The Glass Castle!!! My own parents can be a bit kooky at times, but this book sure made me appreciate them more! I mean, Dad held a job and earned money for food and everything! Imagine such luxuries! A woman in my ward who read the book commented in Goodreads that it sounded a lot like her childhood. I've been insanely curious and a little bit afraid to ask her about it... Anyway, I would totally join your book club! And wooden spoons. Craig was using our blender as a food processor, and he poked the wooden spoon in there to get it going, and totally ground up the spoon! A huge chunk of it was missing. I couldn't eat the dinner that night. I kept imagining that I was chewing up tiny splinters and wanting to gag. But I got him a new set of wooden spoons for Christmas (among other things), so that was kind of fun! Just leaving my 2.5 cents. So it doesn't snow or really offer any precipitation here UNTIL the night of a big event I planned up at Mutual Dell. Once in over 60 winter days. What are the chances? I now resolve to buy a doughnut from Lehi Bakery, get cozy under a blanket and both read the book and watch the shows. The Paris flick was out at the RedBox I visited last week, but I will perservere. Were you polled for Jill's post? If so, I think I can pick out your answer. Also, I can sympathize on your obsession with Sherlock. I would marry him just for his name. Ashley Cumberbatch. I love it! Thanks for the friendly link. Sherlock is now in my Netflix cue. Here's to the light at the end of the tunnel, i.e., the promise of spring. I was polled. Yeah, I'm easy. Brooke, that makes me happy. Thanks for the cents, Steph! That thought was worth at least a nickel though. You won't be disappointed! 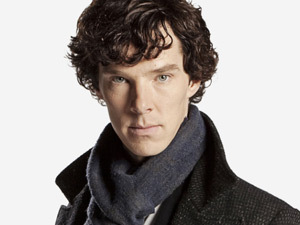 I'm so happy to spread the Sherlock love. Haha. I read your book club link and I am in one where we pretty much do the Chris Farley thing. It's mostly just a fancy name for us girls to hang out and eat treats late into the night without kids. And sometimes a few people read the books suggested. I totally use fingernails as hot pads too. It's dangerous living.